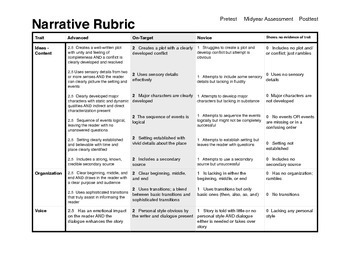 I assembled this rubric using several different rubrics as models: MAISA, M-Step, 6+1 Traits, and other items I felt worked. The forty points can be accumulated precisely if the student has all On-Target points plus 8 processing points. 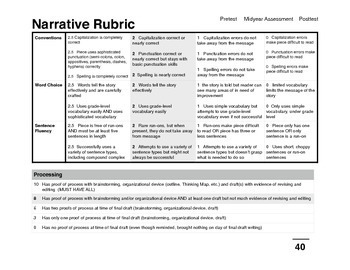 When I use this rubric, I allow the students to see the prompt on the first day and discuss with their groups, brainstorm overnight, plan ideas the second day with other students, and write independently on the third day.